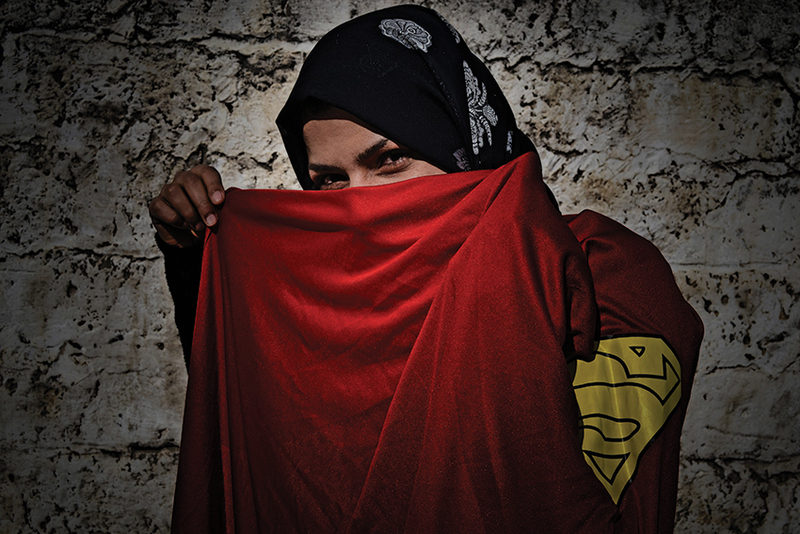 Comprised of individual portraits in which women are adorned with a superhero cape, this series seeks to amplify the voice and demonstrate the resilience of the women of Gaza. Ovidiu’s photographs disrupt the monolithic representation of Palestine as a place defined by destruction and poverty, with images of strength, happiness and laughter, to demonstrate the multifaceted experiences. I also wanted to get rid of stereotypical images of Gaza’s reality (destroyed buildings, poor people, etc.) and to take photos of women laughing, because despite all odds there is hope for peace and a better life.” Some of the women featured in the collection are staff of Médecins Sans Frontières in Gaza, where Ovidio himself worked for nine months. MSF has been present in Palestine since 1989, providing surgical and mental health care to those who would otherwise have no access to such services. As part of their mission, MSF continues to bear witness and speak out about the conditions their patients face, in Gaza and beyond. In 4 days the exhibition attracted over 300 visitors. The exhibition also attracted a number of news agencies to cover the event.